Represents Colorado's 2nd Congressional District. He is serving his first term in the House. What members of Congress use language that is most similar to Rep. Neguse in their recent press releases? Learn more. H.R.2274, a bill sponsored by Rep. Neguse, was referred to the Subcommittee on Water Resources and Environment. H.R.2274: To require the Secretary of Veterans Affairs to establish a veterans conservation corps, and for other purposes. 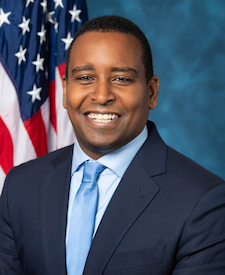 Rep. Neguse released a statement: Reps. Neguse, Lofgren and Senator Markey Introduce Legislation to Welcome Refugees to the U.S.
H.R.2107, a bill sponsored by Rep. Neguse, was referred to the House Committee on Education and Labor. H.R.2107: To expand the use of open textbooks in order to achieve savings for students and improve textbook price information. H.R.1991, a bill sponsored by Rep. Neguse, was referred to the House Committee on the Judiciary. H.R.1991: For the relief of Jeanette Vizguerra-Ramirez.